Contactin 1 antibody LS-C136120 is an unconjugated rabbit polyclonal antibody to Contactin 1 (CNTN1 / gp135) from human and rat. Validated for IHC and WB. Synthetic peptide from human contactin-1 (F3cam, contactin 1, CNTN1) conjugated to an immunogenic carrier protein. 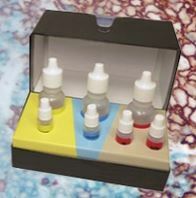 Maintain lyophilized and reconstituted antibodies at -20°C for long term storage and at 2°C to 8°C for a shorter term. When reconstituting, glycerol (1:1) may be added for an additional stability. Avoid freeze/thaw cycles.